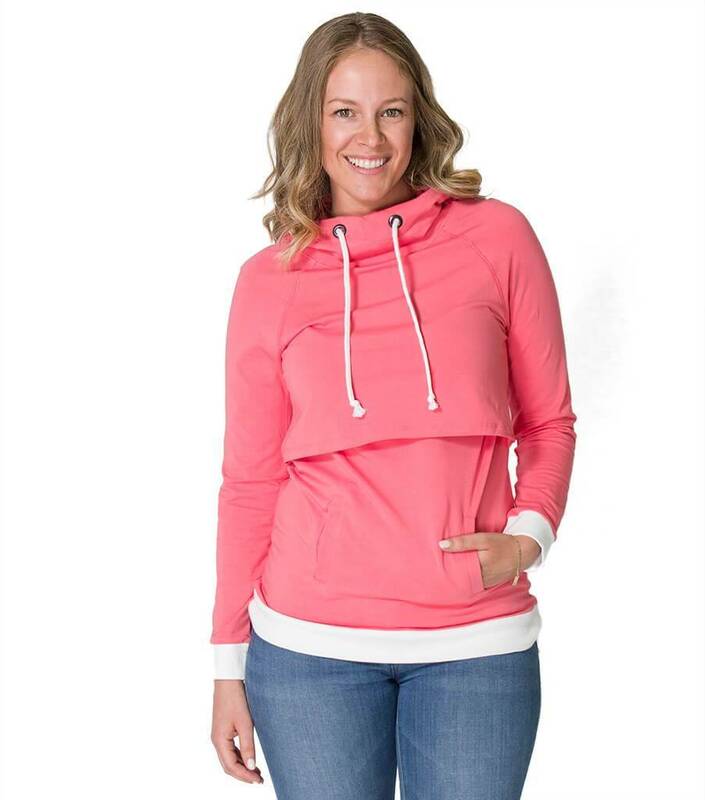 The cutest and most comfortable nursing hoodie on the market! The perfect top for fall and winter. 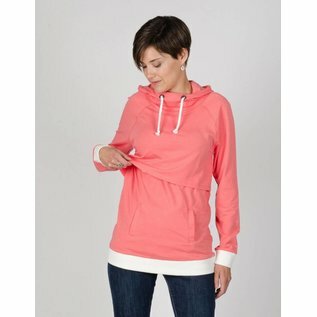 This lightweight hoodie allows an easy and discreet nursing. 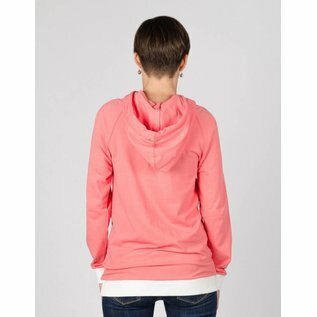 The cutest and most comfortable nursing hoodie on the market. 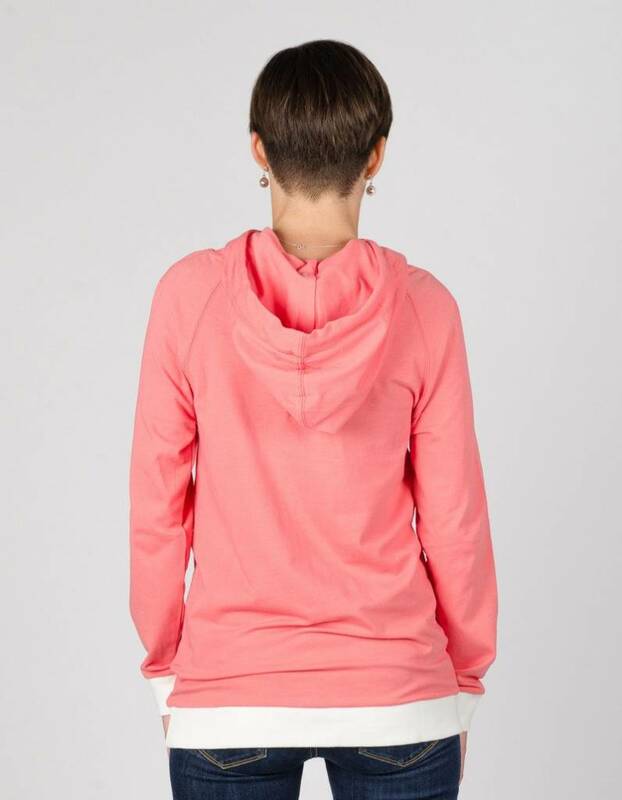 This lightweight yet cozy top will quickly become a wardrobe staple, keeping you warm while breastfeeding! 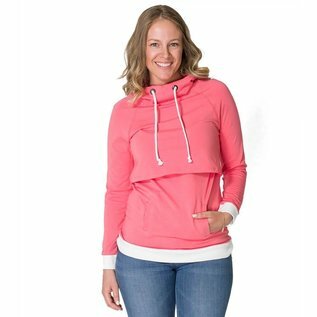 Universal breast openings ensure discreet and comfortable breastfeeding experience. Simply lift the front panel to access your nursing bra. 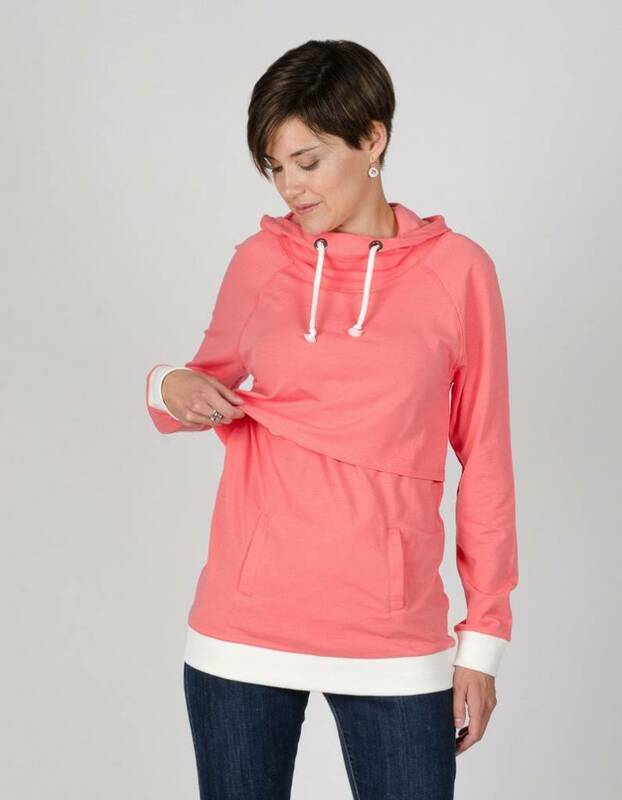 Contrasting cuffs, a kangaroo pocket and a cowl neck hood add style and comfort to this best-selling nursing top. Heather Red colour is 58% cotton, 37% polyester and 5% spandex.